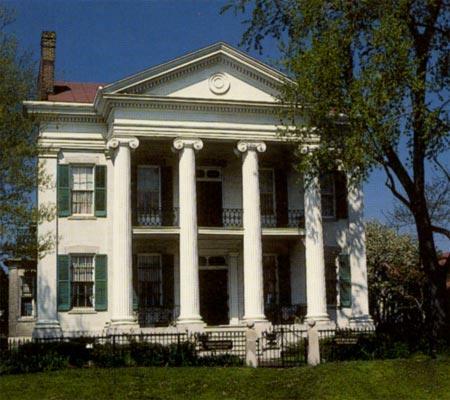 Located in the Benton Park neighborhood, the Chatillon-DeMenil Mansion is one of St. Louis' most interesting historic homes. Originally built in c.1849 by Henri and Odile Chatillon, the house was greatly expanded by the DeMenil family's Greek Revival addition (completed 1863). The Chatillon-DeMenil Mansion features guided tours, a gift shop, and the largest permanent collection of memorabilia from the 1904 World's Fair. Guided tours on the hour Weds - Sat. beginning at 11am. Last tour weekdays: 2 pm. Last tour Saturday: 3pm. Closed in January; call for February hours.